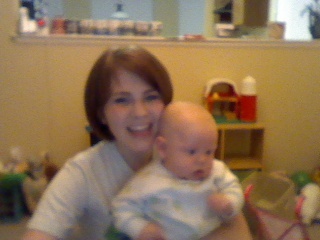 So this is Graham blogging with me. He and JoeAnna were babysat all day today while I was with my dad. We all had a great time! Our wonderful friend, pastor’s wife, and neighbor Rasha Flowers graciously watched my two kiddos – she is a huge blessing to me! My dad had a great day! We started it by having some time in the Word, followed by physical therapy, doctors visits, and we actually watched a movie on his laptop. It was good for both of us. He was moved to an intermediate hospital room – yay no more ICU!!! He’s just down the hall now, but we are getting closer everyday to recovering fully. Thank you all so much for your earnest prayers and thoughts for my dad and our family. Sunday was a big day! I am so proud of Rob. We know that this is just where God wants us. Please continue to pray for us as we work towards being fully transitioned. I honestly love Florida! For somebody who had only been to Florida once and not on a vacation, I had no idea what I was missing! Even during the “wet season” and “hot” summer, I am loving the climate and the sunshine! Finally – I do miss all of you from Michigan!!! Visit soon!